As Hurricane Florence slams into the Carolinas, reporters have found themselves in the center of the story - and the storm. ABC Chief Meteorologist Ginger Zee was eventually forced to leave the area when she found the situation a little too dangerous while reporting for the network Thursday from a balcony. 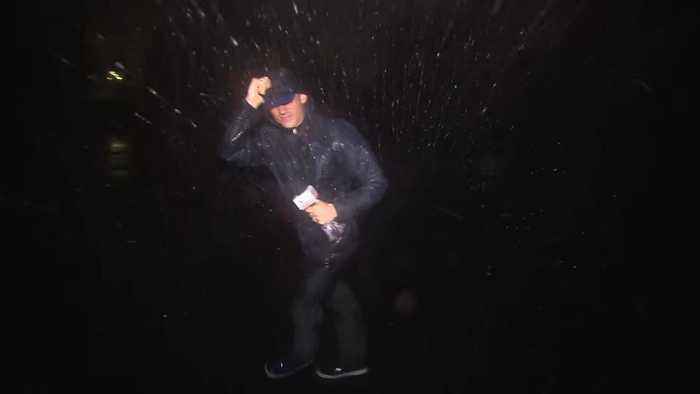 MSNBC's Gadi Schwartz was also faced with strong winds, and viewers expressed concern for his safety.